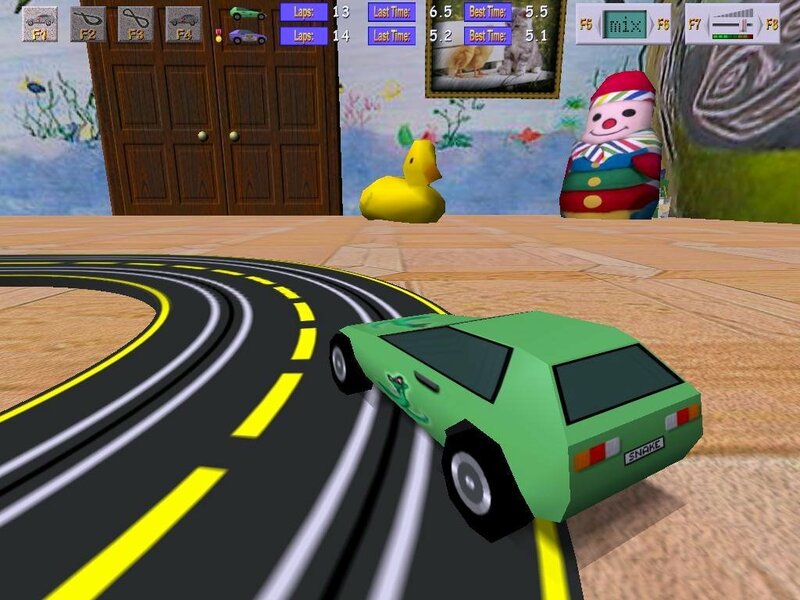 Turbo Cars is a really cool 3D slot car racing game which puts you right in the action. There is a lot to like about this game, the multitude of cars, the multitude of tracks, but one of the main things for me which made me realise how cool this game is, is the things on the side of the track. Because it’s a slot car track, you replace grandstands and chain link fences with giant rubber ducks, wooden train sets and more. 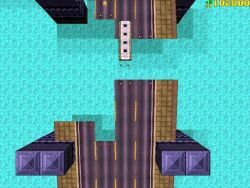 The game play is really great; racing your car around the slotted track is surprisingly really exciting, except when you fall off because you were speeding. But apart from that which you have to avoid with careful driving, it’s a super fun game. The music is great, I’m bound to say that when I recognize one of the tracks used as background music (Track 7) and it really heightened my enjoyment of the game by an incredible amount. I like playing it and listening to the music. In all, this is a superb racing game, it’s really fun, there are a bunch of tracks to play on and it’s just great fun, that’s all there is to it. Oh, and there is a two-player mode aswell. Enjoy! This game is just great. Simple - but still great. You have the choice between single player (against AI) or you can just play with one of your friends on one computer. You only need one button (or 2 buttons if you're playing with a friend) to control the speed of your car. This game has nice graphics, cool sounds, and is the best thing to play if you always wanted one of these racing track thingies. I just can't describe how awesome this game is! This a well-done 3D slot car racing game. The concept is simple: Press the up arrow to accelerate, let go of it to slow down. If you go too fast around a curve, you pay. Quite challenging, it's really good! With plenty of tracks, Several cars, and online play, this game really is a work of art! The 3D is quite stunning! This game had a great idea that I personally think worked. 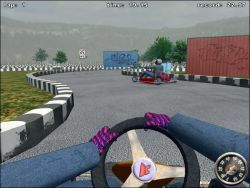 The 3rd person views of a slot racing car game adds a whole new dimension to slot racing, the cars sliding is a tricky business but once you find out how to control the car... its fun and easy. I didn't really think slot car games would be fun, but I was wrong, this is rather exciting... and I never had slot cars as a kid so I've finally got to witness it! Don't be fooled by the screenshots. This is the worst game I've played since Tetris. The only thing you can control is speed. Hence a complete waste of time.